Another successful birthing for Tregoyd William and our good mare 99. At just a few days old, BearPaw Firefly looks like she's going to be very athletic! We are thrilled with her 2 yr old full sister, Eloquence, and have high hopes this filly will turn out just as nice. Firefly will stay with us here on the ranch and eventually join the broodmare band. Love these William daughters! 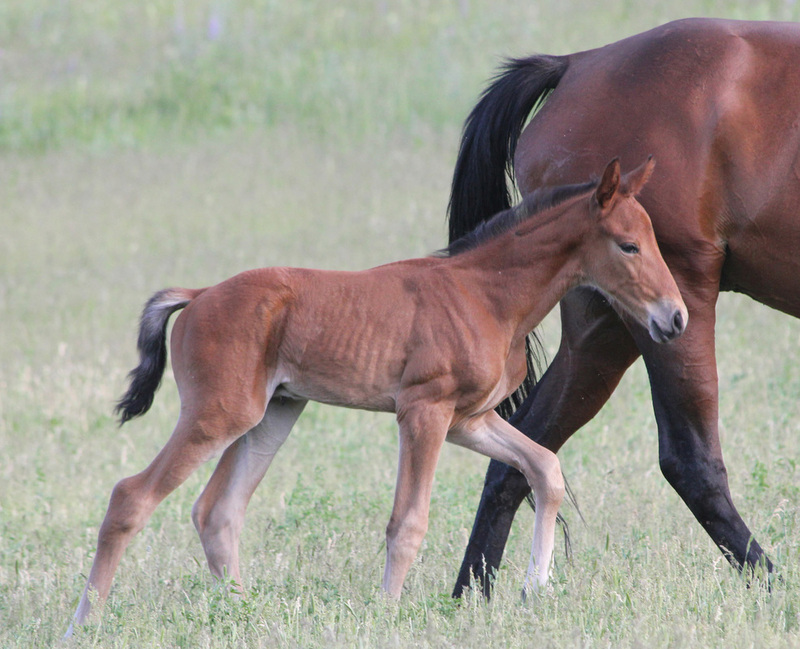 A Tregoyd William colt out of our maiden mare, Sonias Joy (TB mare we call Bandita). This is definitely a cross we will try to repeat. He is going to be a fancy one!